Delicious creamy, slightly sweetened high protein porridge pot, convenience at its best! 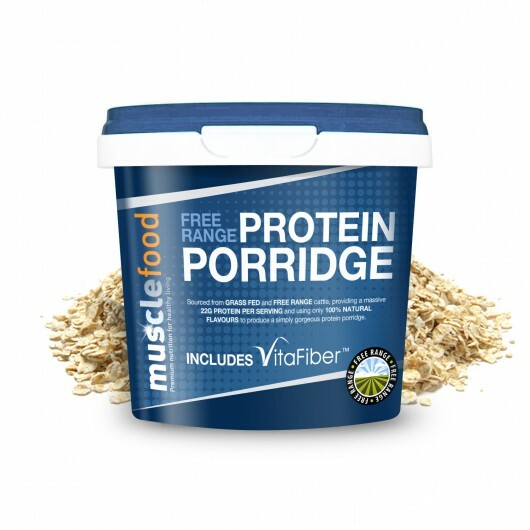 Our new, epic protein porridge pots make dieting simple and quick! As well as being simply irresistable, each pot is ready in just 60 seconds. Porridge is known for its Low GI, slow releasing carbs, which keeps you feeling fuller for longer.. this is why it's regularly eaten by gym users and athletes. Each pot is packed with 23g protein from free range, grass fed cattle. You won't find ANY added sugars in our protein porridge pots, unlike others.. Prefer your porridge with a little flavour? 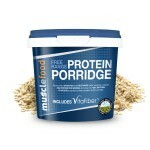 Protein Porridge is also available in Strawberry & Apple, and delicious Apple & Cinnamon. Quick and easy and very tasty. Could be a bit cheaper but on the whole very good. Even better with hot milk. Such a handy thing for early mornings as I usually tended to skip breakfast. Wish the price was a tad lower, but can't complain with the amount of protein in each tub. Much better than supermarket brands, could possibly be a little cheaper but can't complain. Follow the simple instructions - breakfast ready as quick as you can boil a kettle! Porridge is good, quite sweet but very handy for those days when you need to get out to work or are staying in a hotel somewhere. Great product. Great for quick on the go breakfasts and contains the majority of your protein & carbs in one quick and easy meal. Would be perfect for on holiday as easy carrying/storage and disposal. Rolled oats, skimmed milk powder, whey protein concentrate (18%) (milk), whey protein isolate (5%) (milk) vegetable oil (rapeseed oil, palm oil), isomalto-oligosaccharide, sweetener (sucralose), vanilla. Allergy Advice For allergens, see ingredients in bold Packed in a factory that handles nuts, peanuts, soya and sesame. Store in a cool, dry place. No need for refrigeration. Do not freeze. Once opened consume immediately.